Obituary for Dorinda C. Hall | Peterson Kraemer Funeral Homes & Crematory Inc.
Dorinda C. Hall, 97, Marathon, died Tuesday, January 22, 2019 under the care of Aspirus Comfort Care and Hospice Services at Copperleaf Assisted Living, Marathon. She was born March 14, 1921 in Town of Cassel, daughter of the late John and Mary (Sauter) Dalske. On September 10, 1941 she married Michael Hall at St. Mary Catholic Church, Marathon. He preceded her in death on September 16, 2006. Dorinda had a true passion for flowers and gardening, she was known as the flower lady of Marathon. She decorated the altar with her flowers at St. Mary Catholic Church for over 35 years. 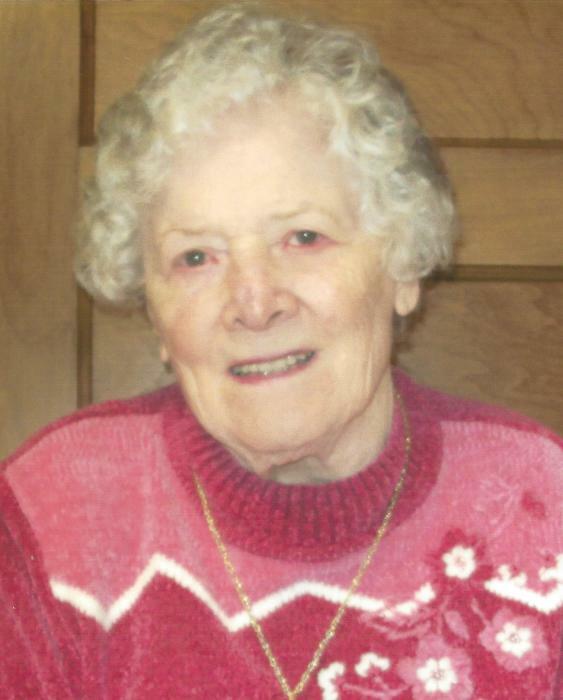 She enjoyed Polkas, country music, playing accordion and harmonica and loved to bake for everyone. Dorinda was a mother, housewife and caregiver who also cleaned private homes and businesses and worked at Marathon Cheese for 21 years. She went on a trip to Georgia, Milwaukee and Tomahawk to visit her grandchildren and great-grandchildren. Dorinda enjoyed going to birthdays, baptisms and looked forward to visits from her grandchildren and great-grandchildren. She also enjoyed playing canasta with relatives and crazy eights, Yahtzee and sheepshead with neighbors. Our mom was an inspiration to everyone she met and will be remembered as a wonderful, caring mother, grandmother and great-grandmother. She was an amazing person and will be remembered. Survivors include her children, Joan Crowell, Tomahawk, Geraldine (Francis) Urmanski, Tomahawk, and Michael (Marilyn) Hall, Marathon; grandchildren, Paul (Bridget) Urmanski, Dean (Shelly) Urmanski, Angela (Matthew) McCabe, Michelle (Cory) Scheiderer, Michael (Briana) Hall, Ashley Crowell and Zachary (Ronda) Crowell; great-grandchildren, Claire and Anne Urmanski, Max and Jack Urmanski, Katherine, Emily, Natalie, Eleanor and Gwyneth McCabe, Derek, Emma, Levi and Ethan Scheiderer, Michael and Mackenzie Hall, Portia and Cora Crowell. 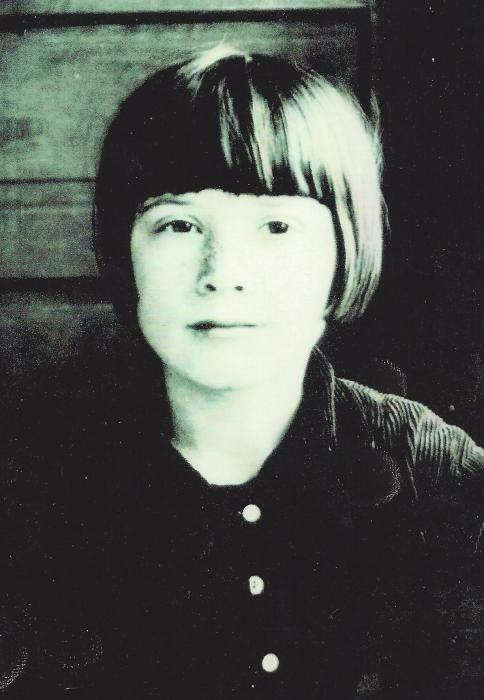 Besides her parents and husband, Michael, she was preceded in death by a son, Patrick, sister, Marian Hall, brothers, Hubert Dalske and infant Freddie. The funeral Mass will be celebrated at 3:30 p.m. Sunday, January 27, 2019 at St. Mary Catholic Church, Marathon. Rev. Msgr. Joseph Diemeier will preside. Burial will be in the parish cemetery. Visitation will be Sunday from 1:00 p.m. until the time of services all at St. Mary Catholic Church, Marathon. The family wishes to express their sincere appreciation to Lori Schuette and the entire staff of Copperleaf Assisted Living for your kind, compassionate care. Also to Rev. Joseph Diermeier for your visits and prayers and to Debbie Marzynski for caring and adding joy to our mother’s life.